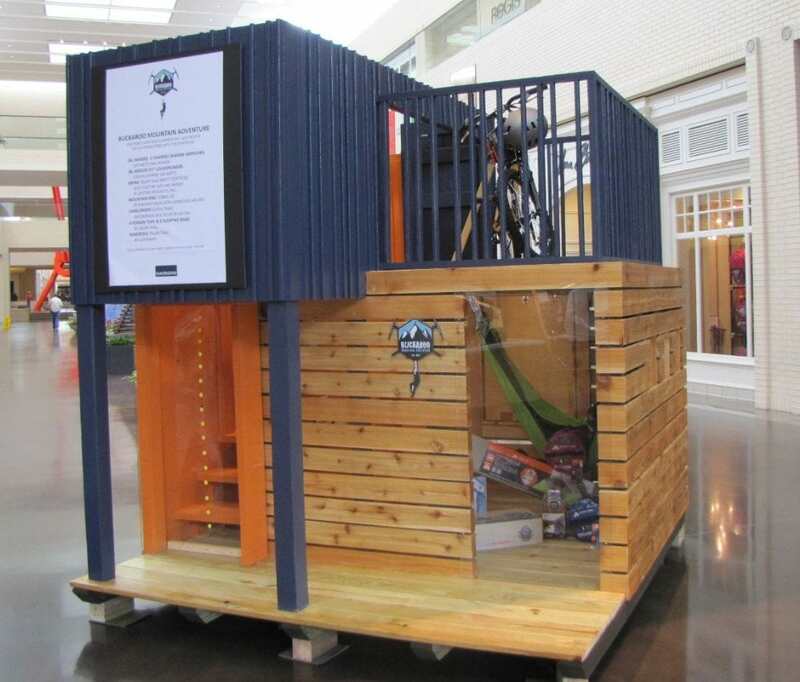 DALLAS—CASA’s Parade of Playhouses, which features imaginative and creative playhouses on display in NorthPark Center, will be open daily during mall hours July 15 to 31. The playhouses are designed, built and donated to Dallas CASA by local designers, architects and builders and are available to win by raffle at the end of the event. All proceeds from raffle benefit abused and neglected children served by Dallas CASA. Parade of Playhouses, Dallas CASA’s premier awareness event, not only raises funds but also spreads the word about the role of volunteer advocates to more than 1,000,000 visitors to the event. Dallas CASA volunteers are appointed by judges to advocate for the best interests of abused and neglected children removed from their homes. Amidst an overwhelmed child welfare system, judges need detailed and current information in order to make the best decisions on behalf of children in the protective care of the state. In 2015, more than 921 local volunteers advocated for 2,680 Dallas children. However, nearly 2,000 abused children did not have a CASA volunteer. Dallas CASA recently named Becca Haynes Leonard as director of development just in time for Parade of Playhouses. Leonard brings ten years of nonprofit development experience to Dallas CASA. Most recently director of fund development at Austin Street Center, she has previously worked for Genesis Women’s Shelter & Support and Attitudes & Attire. Funds raised from Parade of Playhouses will help the agency continue its growth trajectory to serve all children in need. Dallas CASA has been on an unprecedented growth path since 2012, when it launched a $37 million capital campaign called “Abused Children Can’t Wait.” The campaign aimed to change Dallas CASA’s focus from the children with a volunteer advocate to the children without a volunteer advocate, making the agency’s goal to serve every child in need. Since then, Dallas CASA staff has grown by 52 percent, advocates have grown by 50 percent, children served has grown by 53 percent and the organization has moved into a new 25,020 square foot building to accommodate the growth. All children have the right to be safe. In 2015, more than 4,600 abused and neglected children were in the protective care of the state because it wasn’t safe for them at home. Sadly, two out of five of these children did not have CASA volunteer advocates to speak for them. For many abused children, a CASA volunteer is the only constant adult during a frightening, uncertain time. CASA volunteers gather information to help judges decide where these children can safely and permanently live. CASA volunteers can make an immediate and critical difference in the lives of abused children. Dallas CASA hopes to become the largest nonprofit CASA program in the country to serve all abused children in protective care.